Effective weighing stations for measuring vehicle and axle weight of any van, lorry, trailer, tractor for farming, recycling and industrial applications. 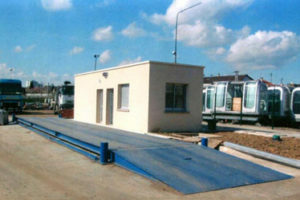 Weighbridges with calibration facility for installation above or under floor, for stationary or portable use. 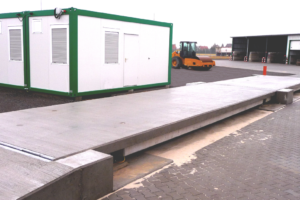 We can provide concrete weighbridges of any size and type. Please contact our office for additional details or help. 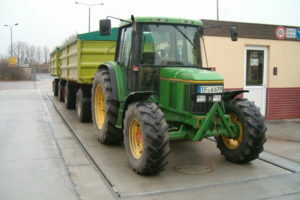 Axle load weighers are the most efficient alternative to large weighbridges. One can choose between stationary or mobile versions. Small scales for loaders and forklifts are especially convenient for weighing applications in small-size plants. Calibrated loader scales for any application. 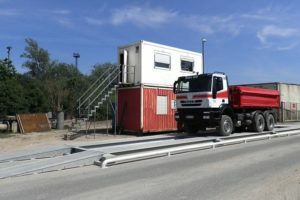 Vehicle weighing, and weighbridges in particular, are complex systems that require a special software for their operation. Find an overview on our software here.